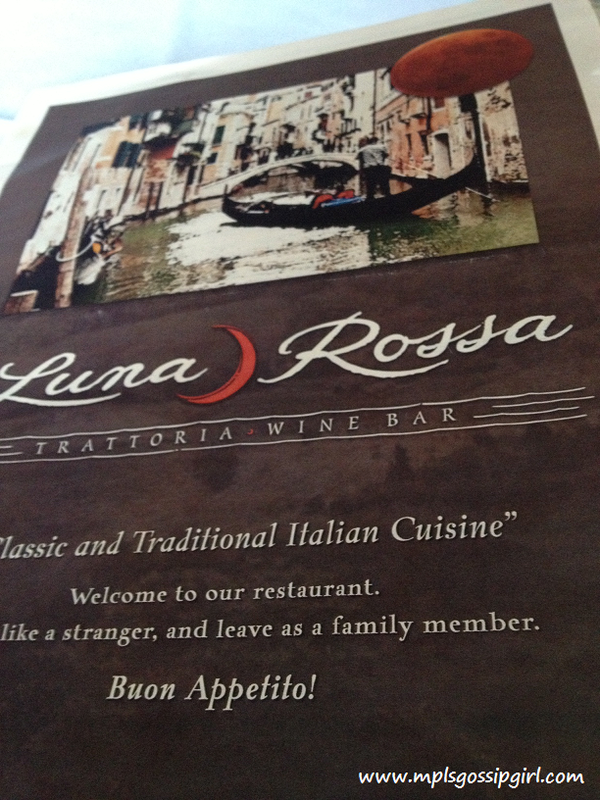 Luna Rossa is a restaurant I frequent when I take a trip to Stillwater. The food here is always great and they have the best Penne Carbonara that I have had in the cities thus far. This trip was especially disappointing, not because of the food. But, because our server clearly had not been trained. It took the attention away from celebrating a birthday to dealing with trying to get our food and drinks. I did appreciate that our server let us know right at the beginning of the meal that she was new and that it may take her a little longer. I actually don’t blame her at all. I blame the restaurant for putting a server on a shift when she was clearly not ready. We started by ordering our drinks. I ordered a bottle of wine from the wine menu and others ordered beers. After about 15 minutes of waiting around our server came back to the table to let us know that they did not have that wine anymore and asked if I would like to pick out another. 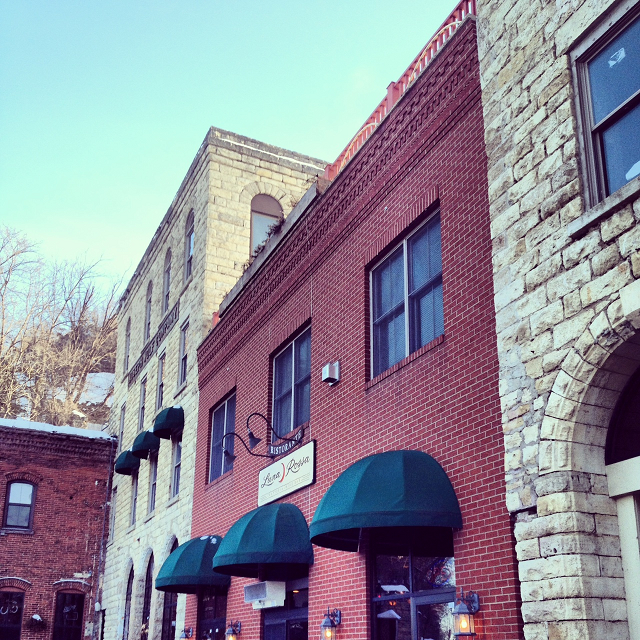 Unfortunately, she did not have a current list of wines to know which wines on the menu were no longer available.This all would have been solved if there was an updated wine list. It took over 30 minutes to get the wine but thank goodness I did pick one that was on the current wine list.Unfortunately, our server did not know how to open the bottle of wine. I gave her and everyone at the table a tutorial on opening a wine bottle. I really like wine. We also recieved one beer but it was not the one that was ordered. The other beer never came. We asked the hostess if she could go get them for us. She replied with an answer of no and walked away with no explaination. We went to the bar and picked them up ourselves. Just as this was resolved our food came out. It was a bit confusing because we had ordered an appetizer and salads for before the meal. We had to explain that we never got them. Other staff then brought out the salads after the main course was served. It was clear that food was not fired properly. We gave up on the appetizer that we never recieved. As always the food was great! It was just too bad that everything was over shadowed by the server who needed more training. We felt horrible for her; she was almost in tears because so many things were going wrong at her tables because of things she simply did not know. I beg you to please train your employees! You can have wonderful food and still lose customers after experiences like what happened to our celebration. This is a restaurant that I want to stick around, please, please, please update menus and make sure your employees know your menu and procedure before they are working a busy shift. Your fans are begging you to do so.